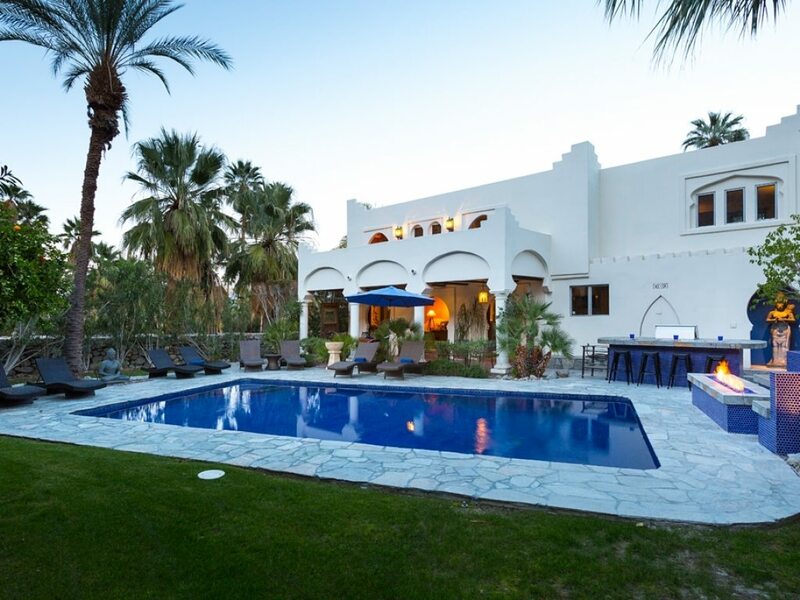 Villa in the Moorish Style…. 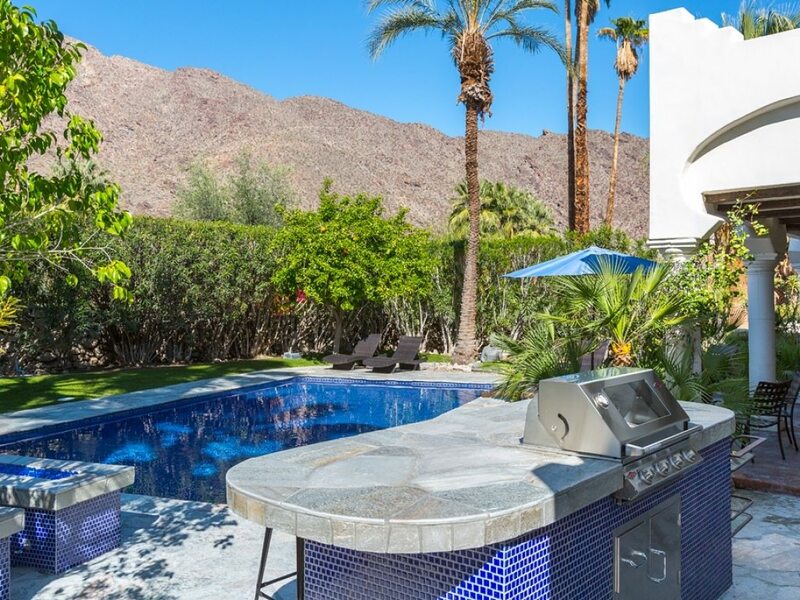 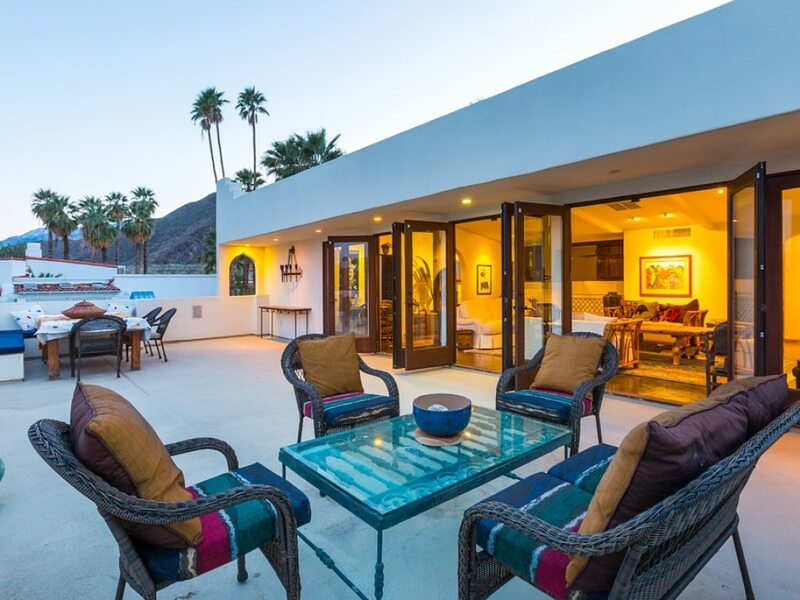 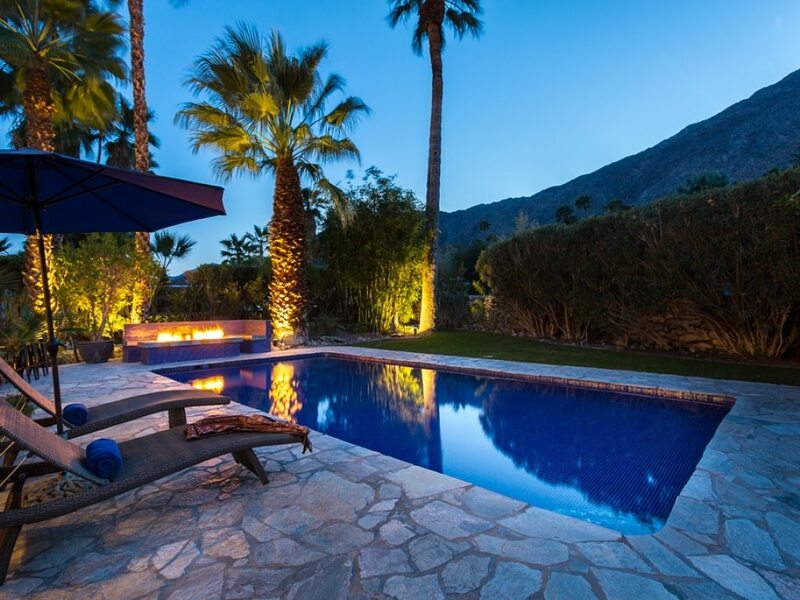 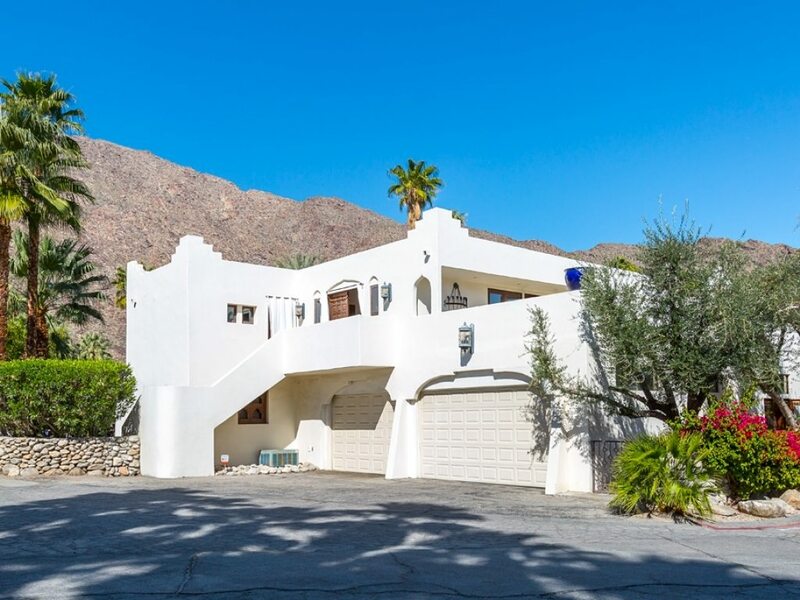 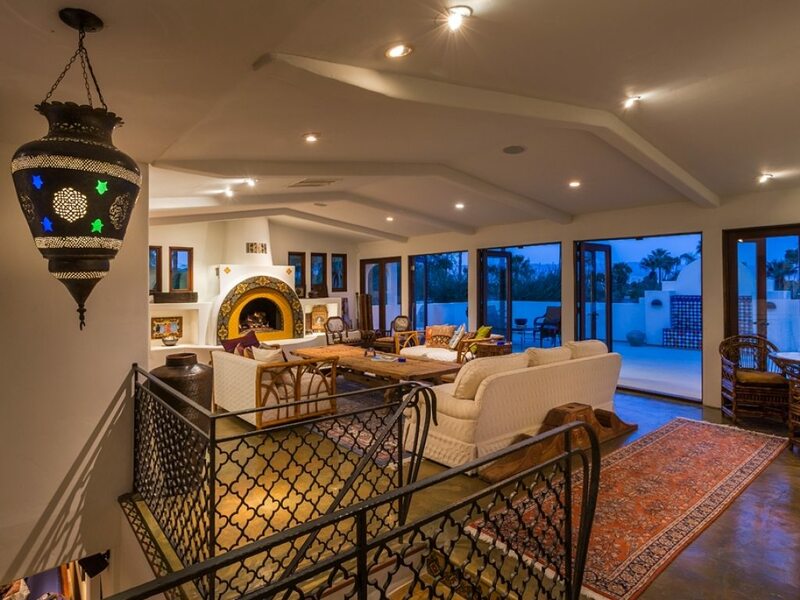 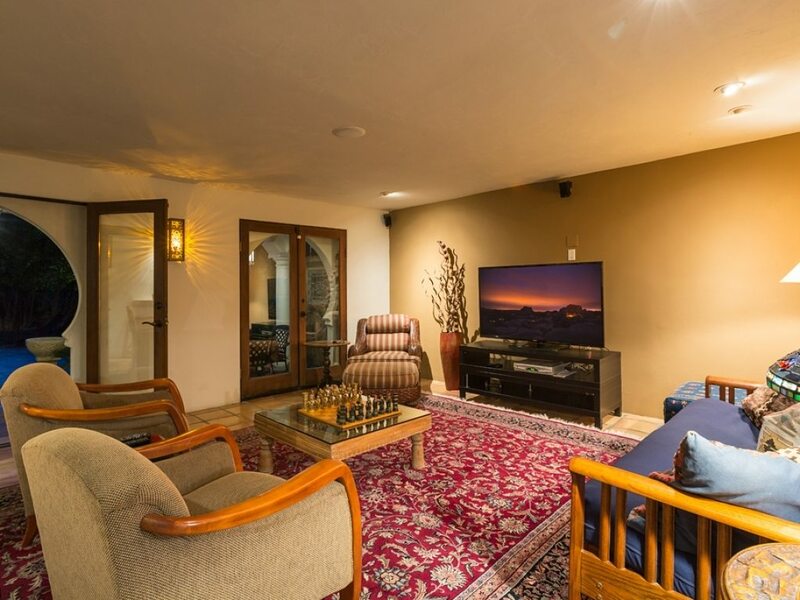 Originally part of a forty acre ranch compound belonging to a prominent US manufacturing family, this villa has been updated and brought into the new millennium with every convenience. 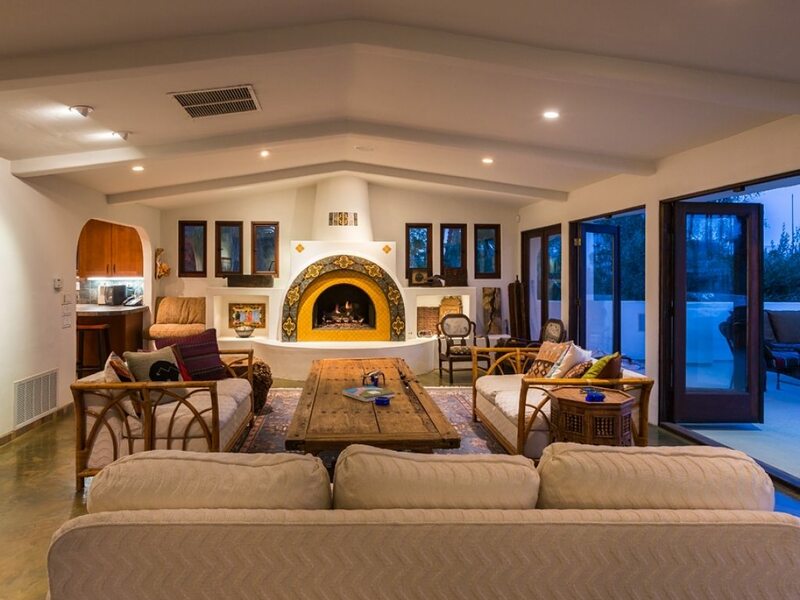 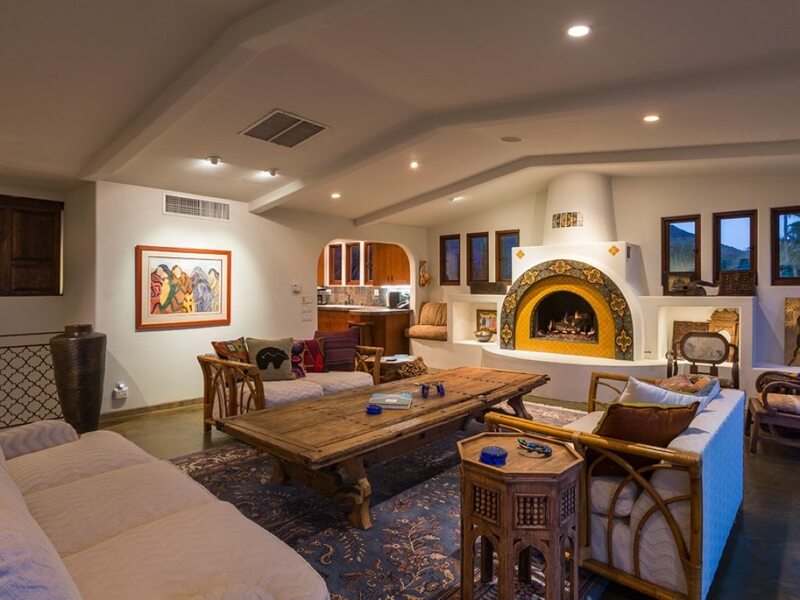 The vaulted great room has a grand custom tiled fireplace and French doors. 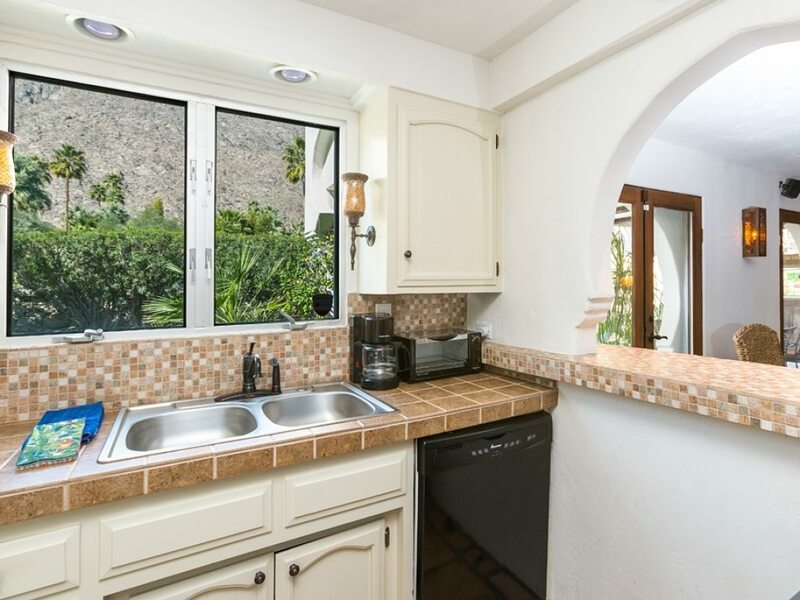 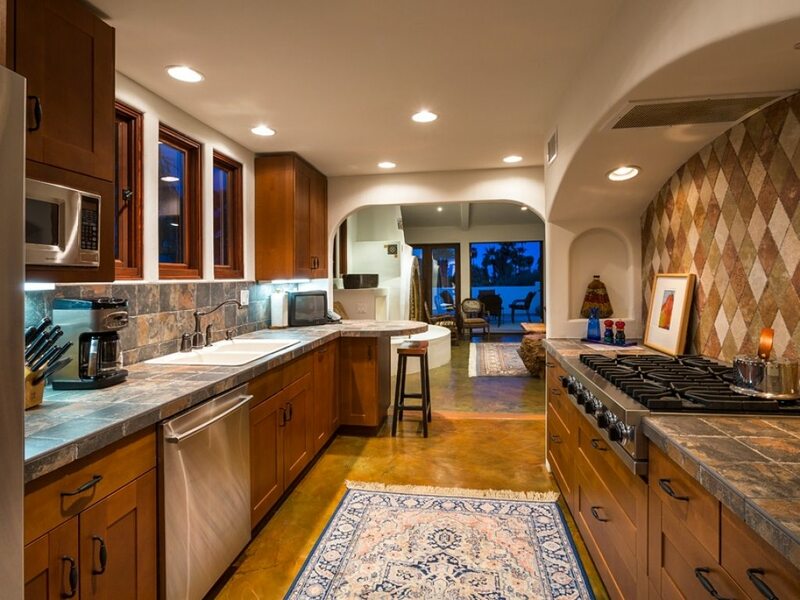 A chef’s kitchen has custom tile, stainless steel appliances, Viking six burner cook top and Bosch double ovens. 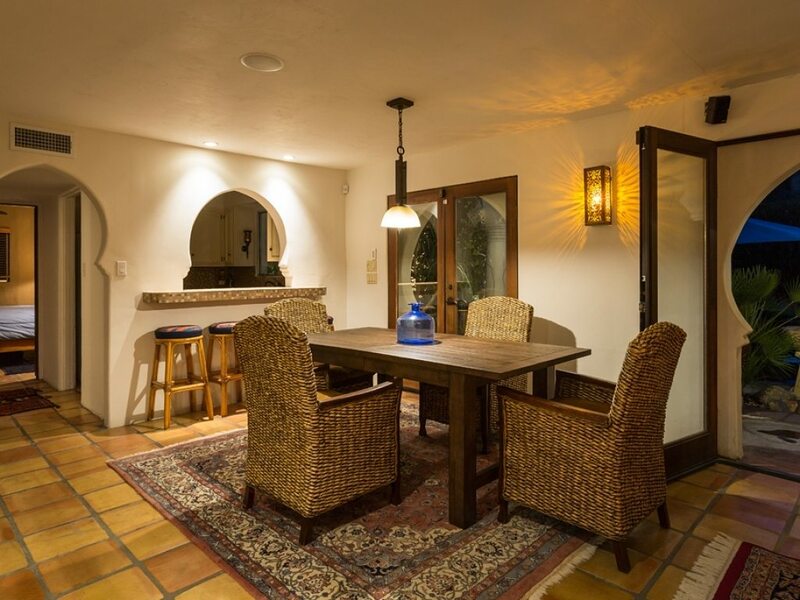 The second entertainment kitchen on the pool level adjoins the media room and dining area. 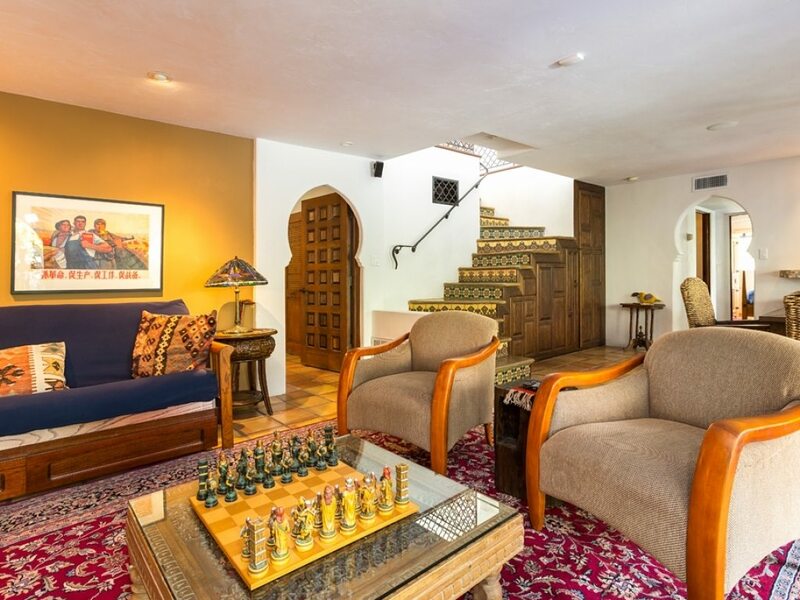 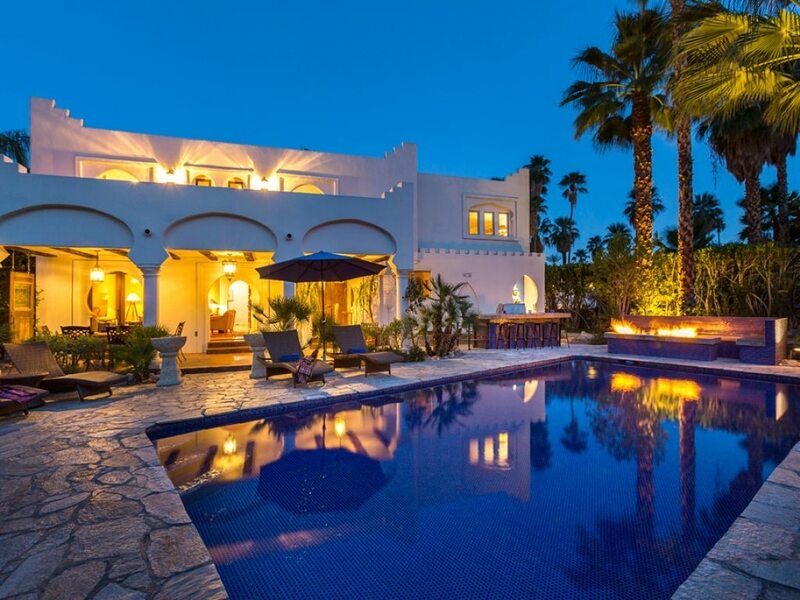 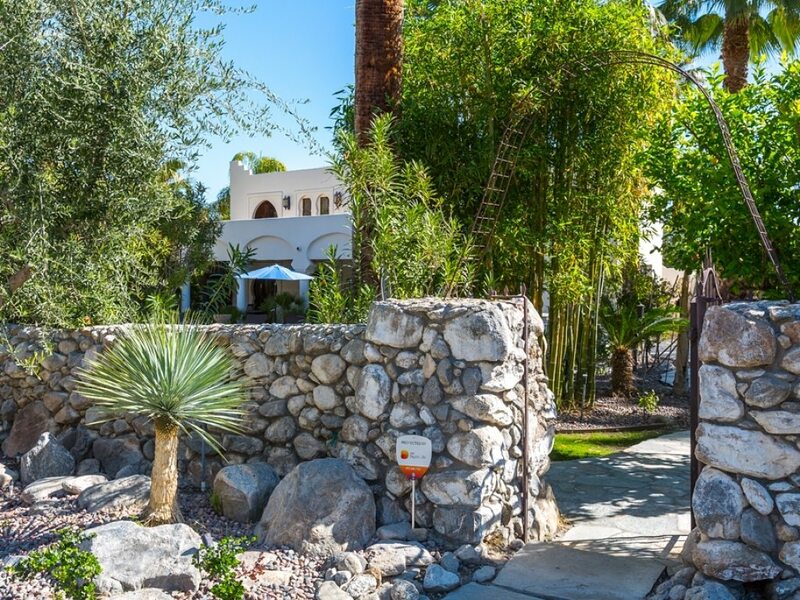 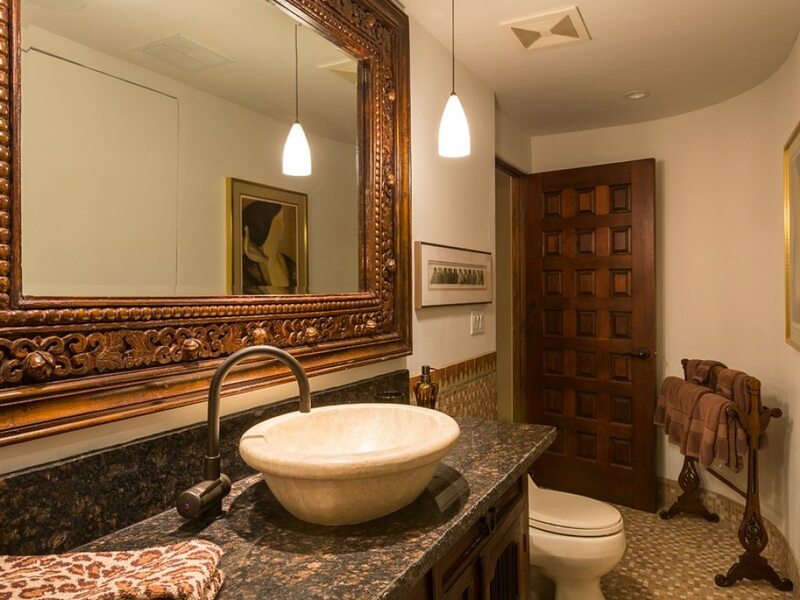 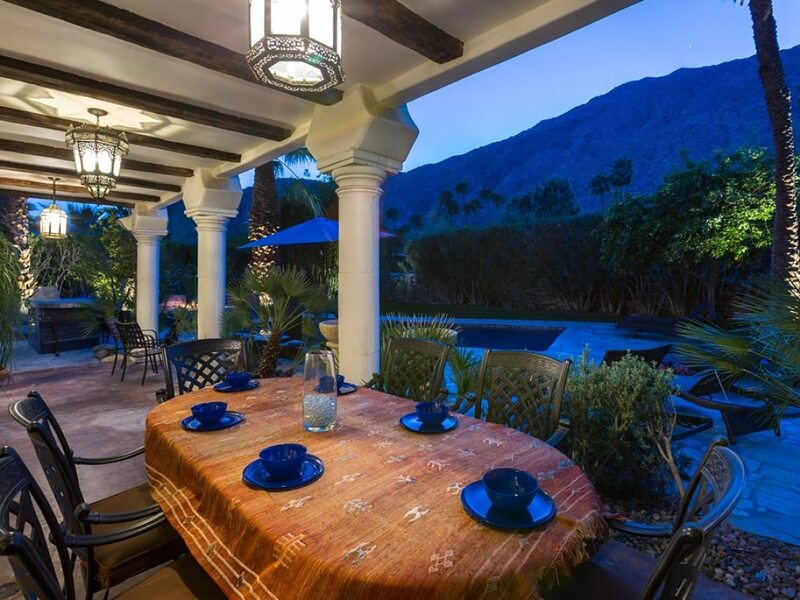 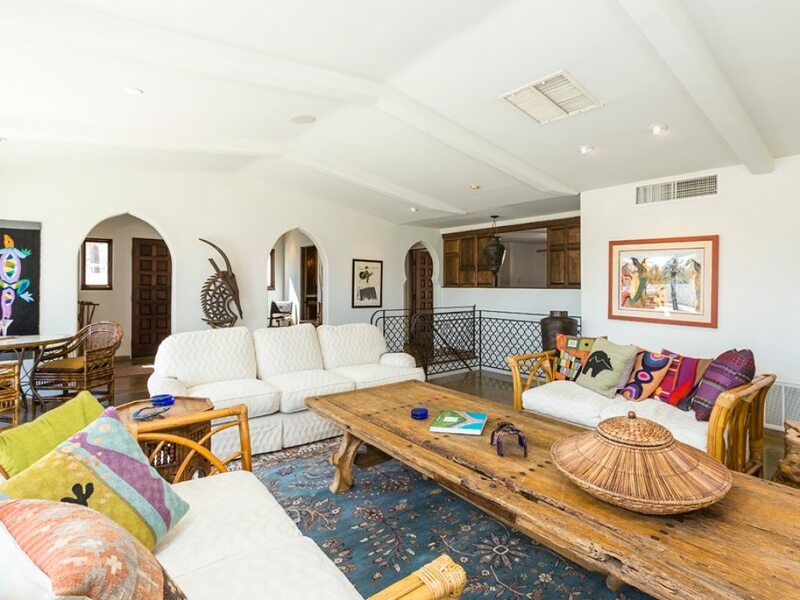 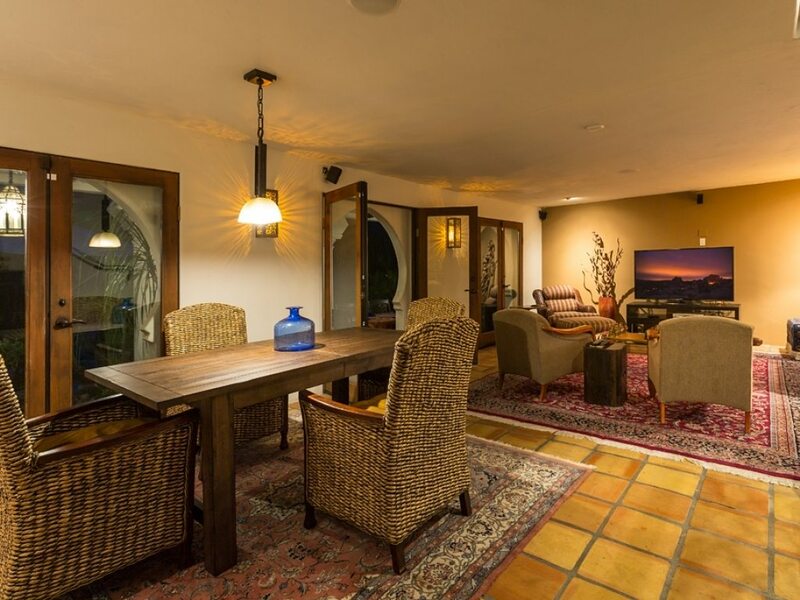 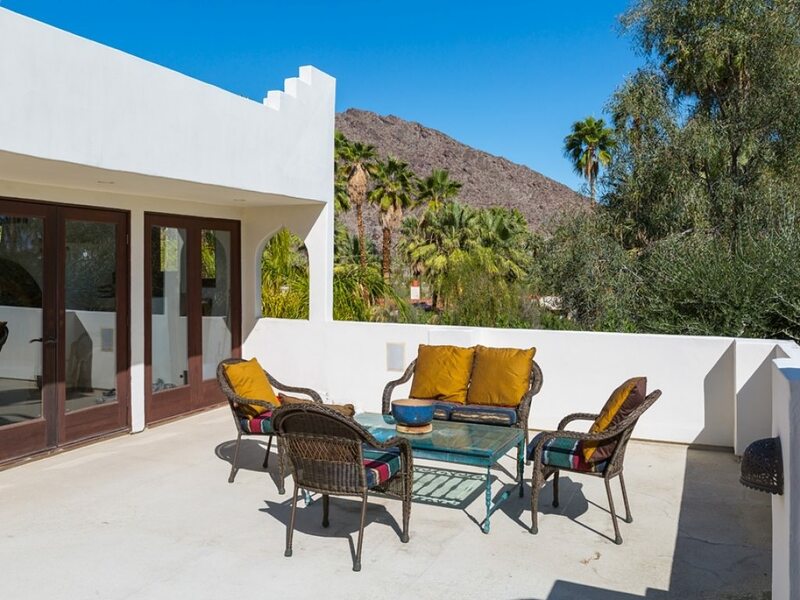 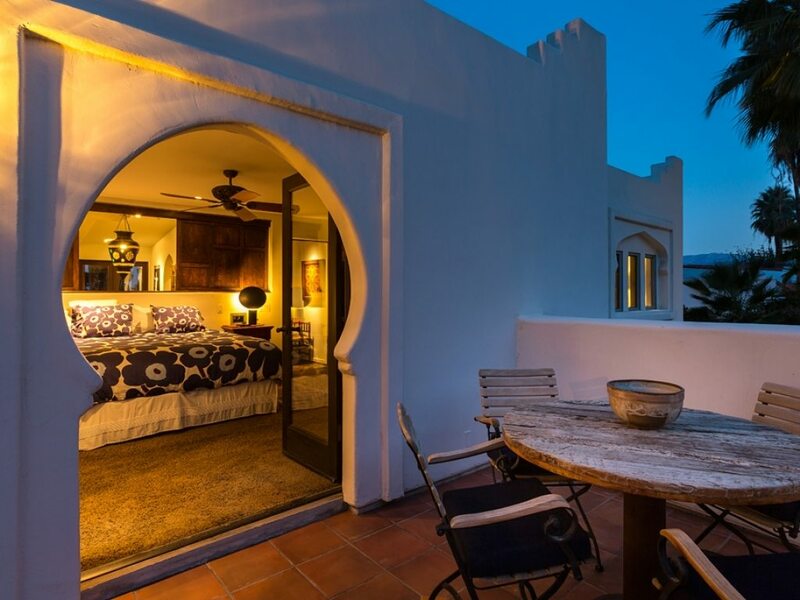 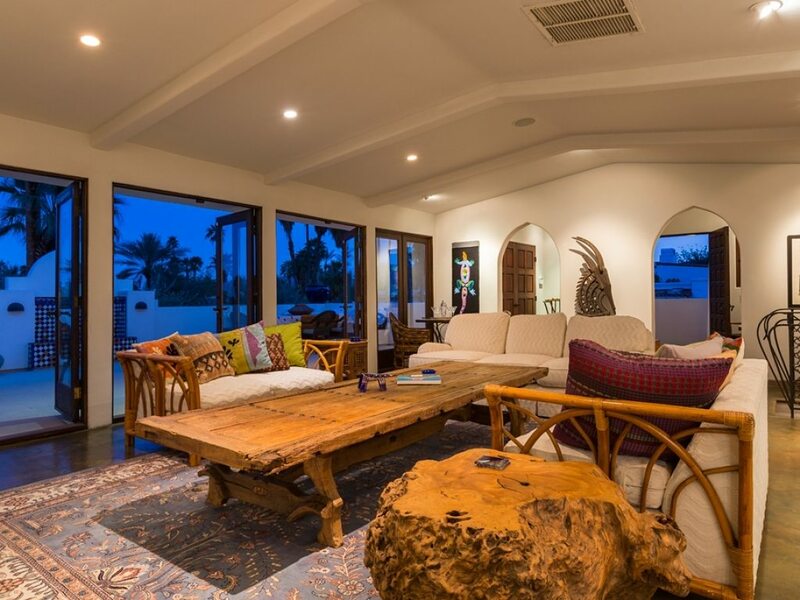 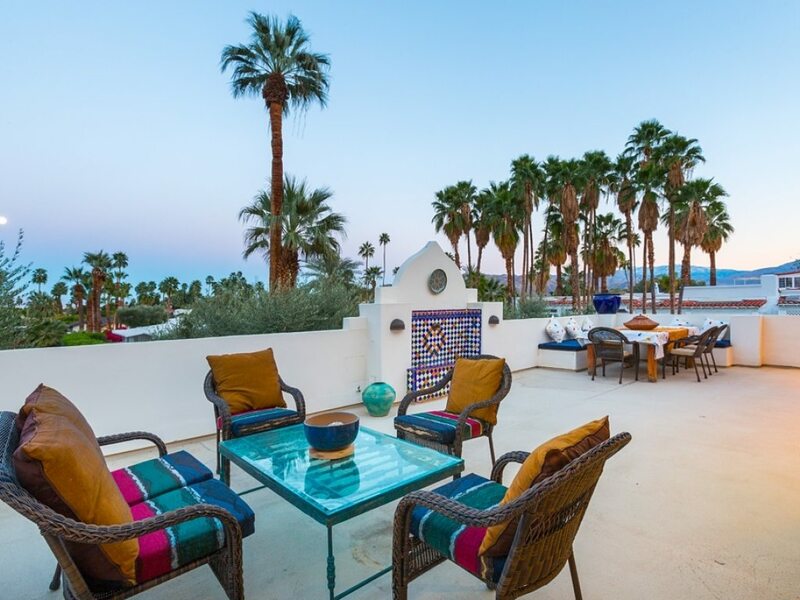 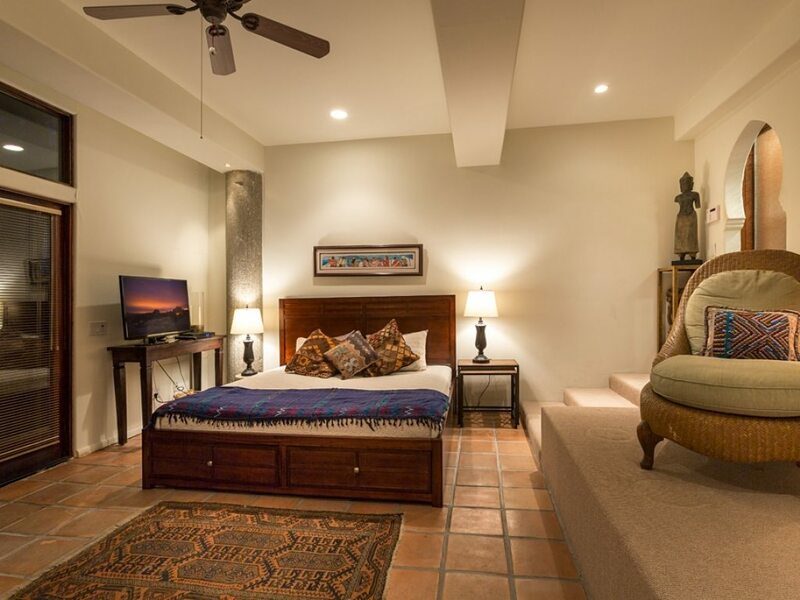 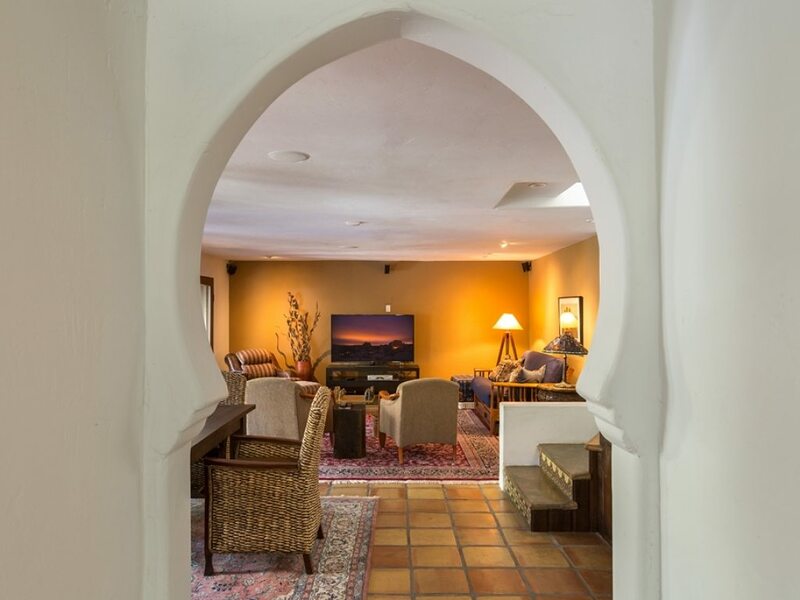 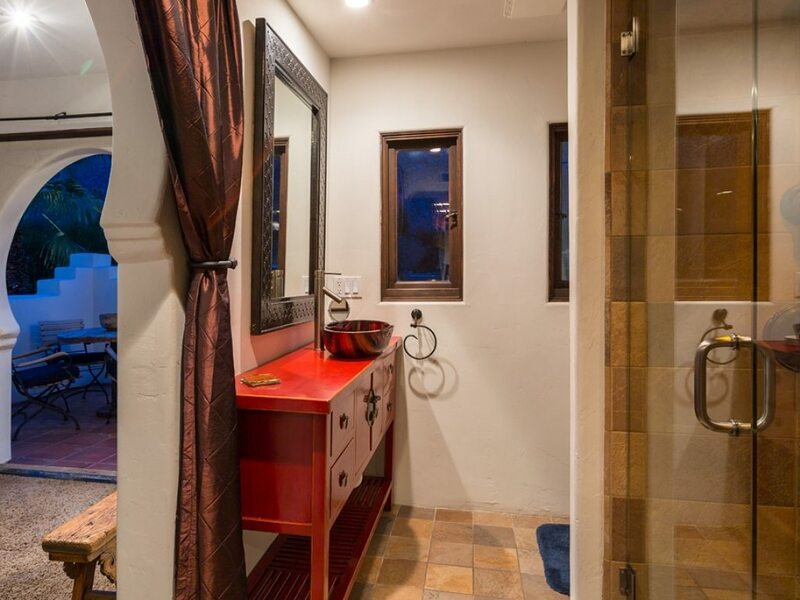 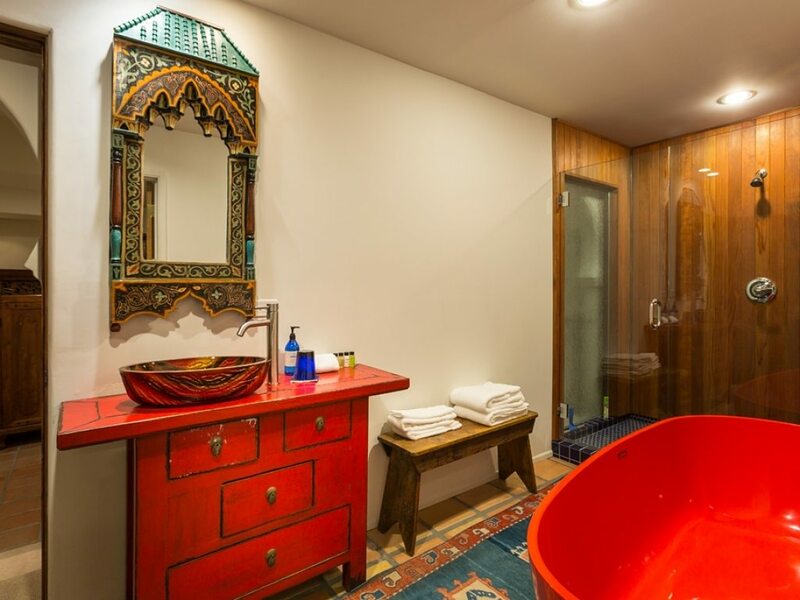 This unique property boasts custom Moorish tile, arches, authentic Moroccan fixtures, custom iron work, paneled wood doors, and hand troweled Old World plaster. 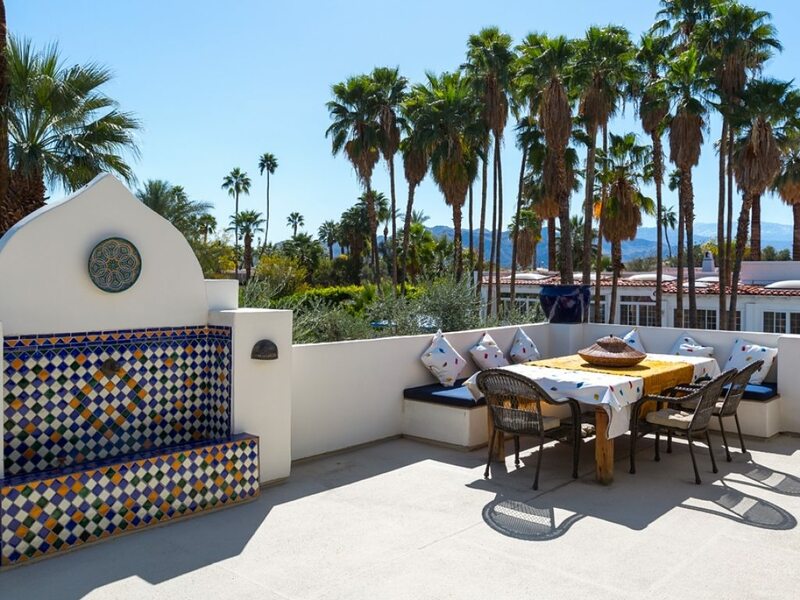 Stunning views are enhanced by 1250 square feet of balconies for outdoor living, one with a tiled fountain and dining banquette that seats twelve. 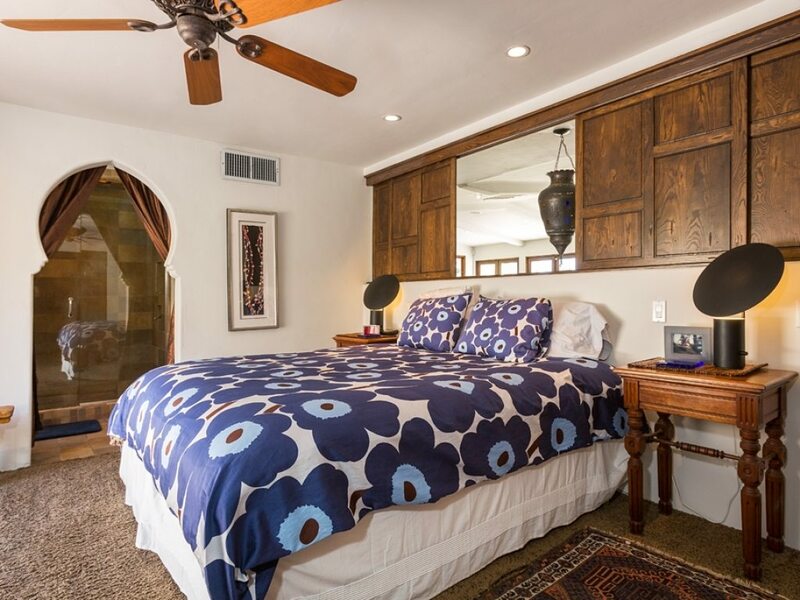 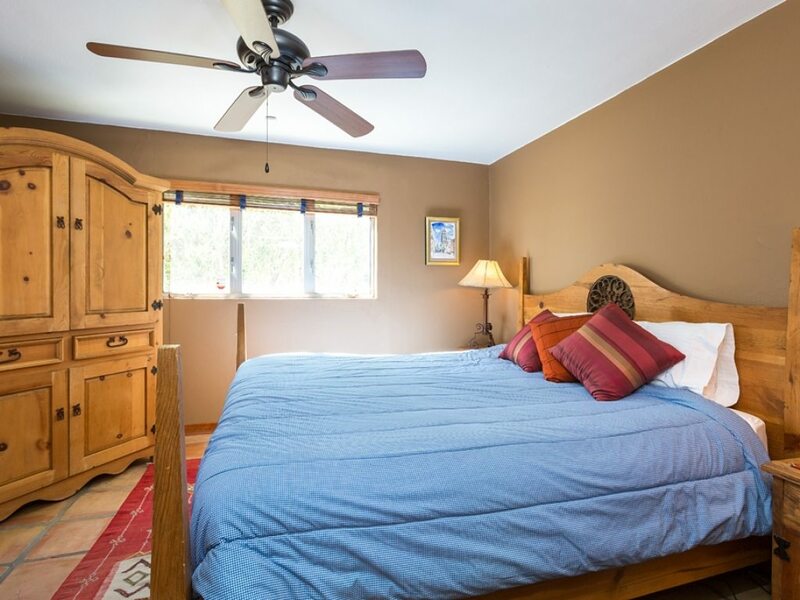 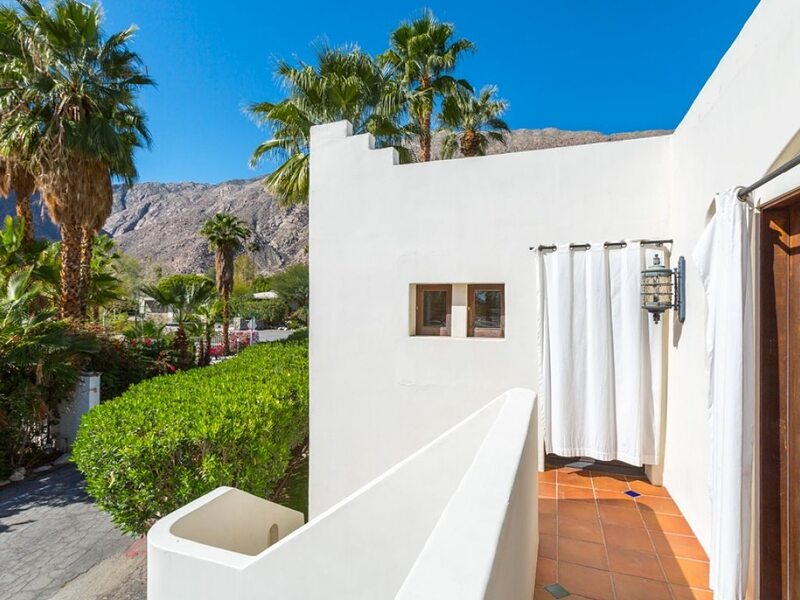 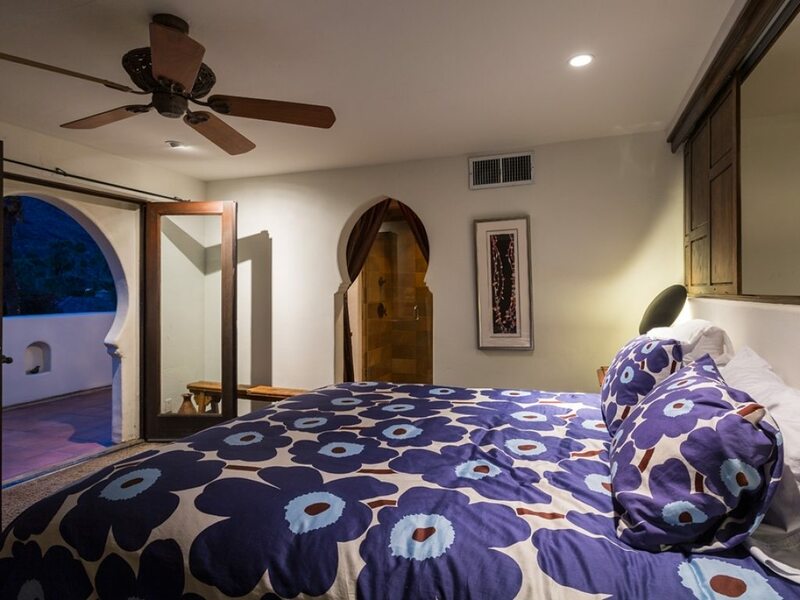 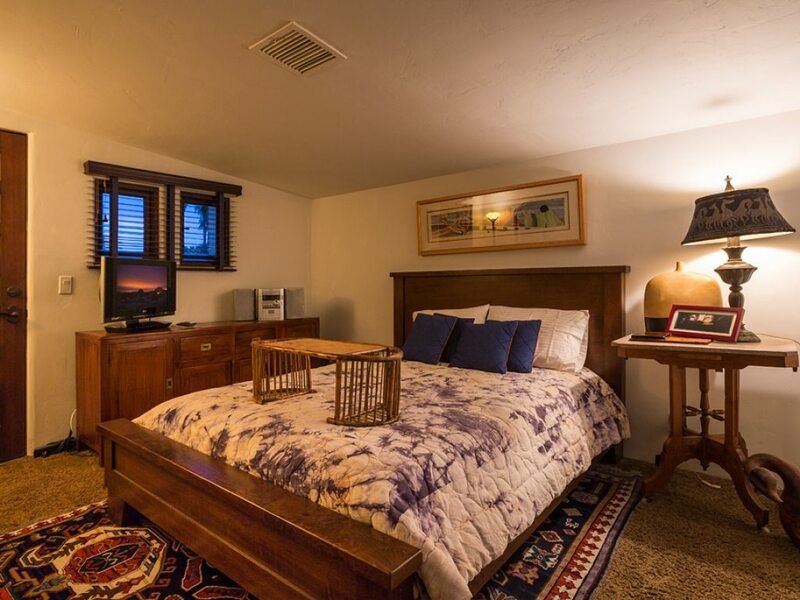 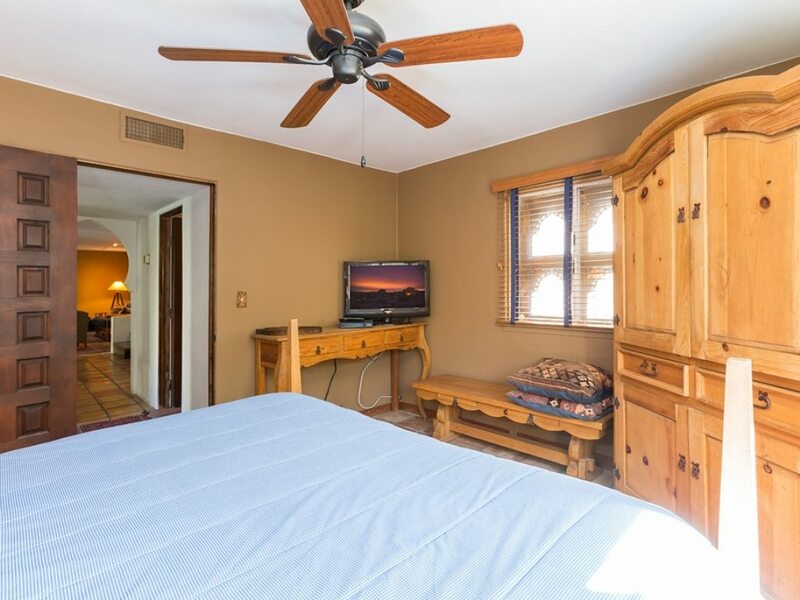 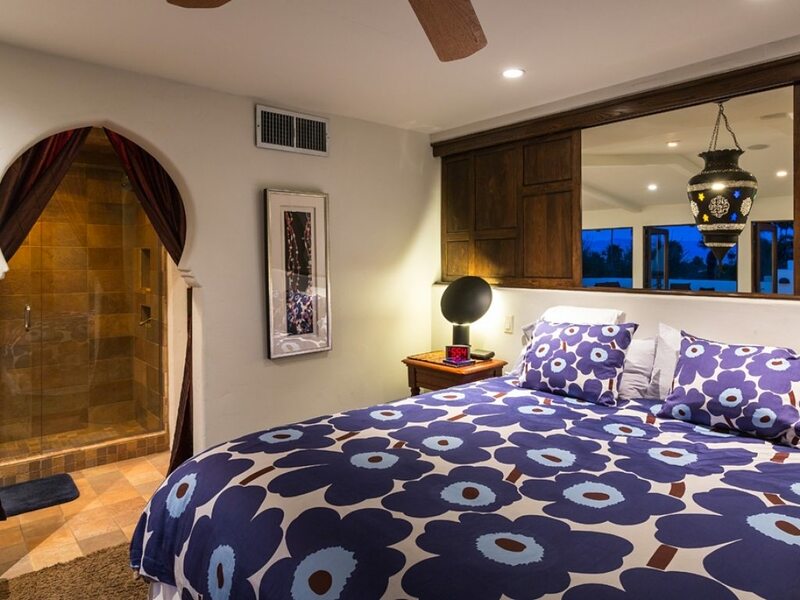 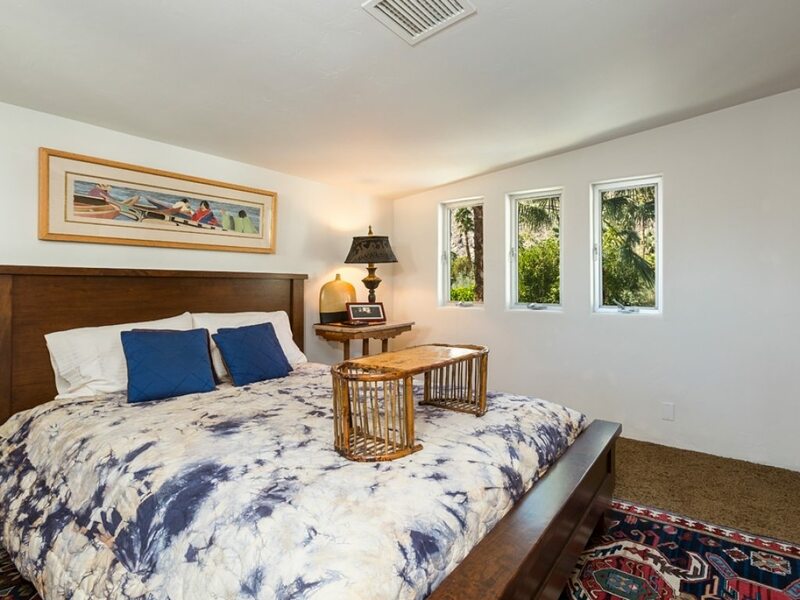 The studio suite has a separate entrance, patio, bath, fireplace, and 12′ ceiling. 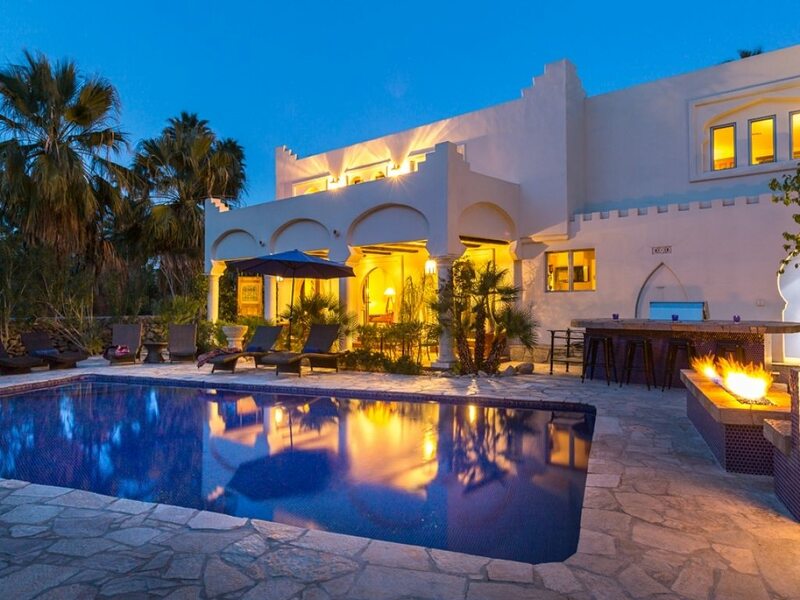 This unique architectural gem sits in a river rock walled and gated compound.